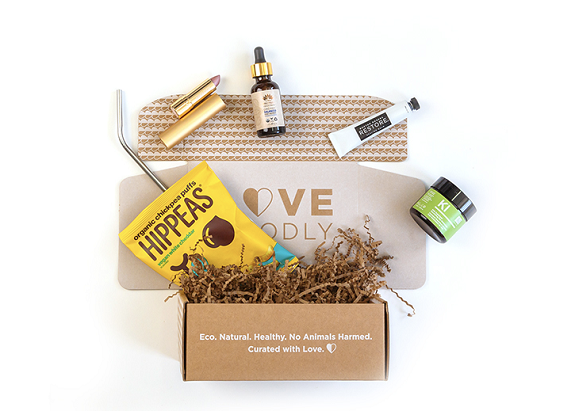 Time for another Love Goodly Box review! I always get excited when I see the Love Goodly box on my doorstep. If you haven’t seen any of my previous reviews, Love Goodly is a subscription box that delivers healthy and natural beauty products right to your doorstep. 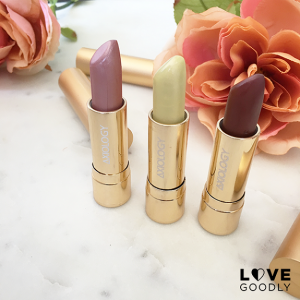 Love Goodly only sends products that are eco-friendly, non-toxic, vegan, and cruelty-free, so you know everything you’re using is not only good for you but for the planet! Their boxes are also a great way to try new products without spending a ton of money. Animal/ environmentally friendly products without spending an entire paycheck? Yes, please! This box is all about getting ready for fall and I have to say it was a pretty good one. Did you know that the real secret to healthy hair is a healthy scalp? True story. Unfortunately, most of us tend to ignore that part of our hair and then wonder why our locks never look as good as those shampoo commercials. Enter the Balanced Guru Scalp Treatment. This blend of oils includes spearmint, rosemary, basil, thyme, and eucalyptus essential oils and it leaves your scalp feeling ridiculously refreshed. I was a little leery at first about rubbing oil into my scalp/hair because my fine hair tends to get greasy, especially in the summer. But I was pleasantly surprised at how this treatment left my hair feeling soft and strong and not at all like an oil slick. I use it about once a week now and I can say that I definitely notice a difference. If you haven’t heard the news lately, plastic straws are on the outs. They aren’t good for the environment and they are quickly taking over our oceans and landfills. Reusable straws are starting to get more attention and I liked that Love Goodly included one in this box. It has a slight bend so it’s easier to drink from and it can easily fit in your purse to go wherever you might need. Make sure you take the extra time to clean it regularly so nothing funny starts growing in there. I used a cotton swab, but if you have a straw brush that will work too. Products that multitask will always earn a spot in my home. This healing balm from Dr. Rogers is great for skin and nails and it even helps with cuts and bruises. My skin isn’t particularly dry in the summer, but there were a few times that I had some scrapes and this balm helped. I’m interested to see if it works just as well on dry skin as the colder months start heading my way. I’m not a regular lipstick person, but when I want to feel a little extra, I slap some on. Luckily, I can put this Axiology lipstick on without worrying about weird chemicals that will dry out my lips as the day wears on. The Love Goodly box comes in three shades and I got the Infinite which is a deep berry. This shade will be perfect for fall and I just might wear lipstick more often. While it kept my lips moisturized all day (a definite plus) the color did fade after eating and drinking. But a quick reapply and I was good to go! I’m pretty sure I could eat a bag of these every single day and never get tired of them. I’ve seen the Hippeas brand at Whole Foods but never grabbed a bag… until now. I don’t know what kind of magic the folks over there are Hippeas use to get these vegan cheddar puffs to taste so good, but I don’t care. Not only are these snacks baked and not fried, they also have 3 grams of fiber and 4 grams of protein per 1-oz bag. Not too shabby for a little snack! Once again, Love Goodly has nailed it. Each product was awesome and I definitely found some new favorites (hello, Hippeas). 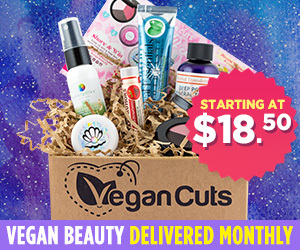 If you’re interested in getting a bi-monthly subscription box, you can choose between their Essential Bi-Monthly Box and their VIP Bi-Monthly Box. 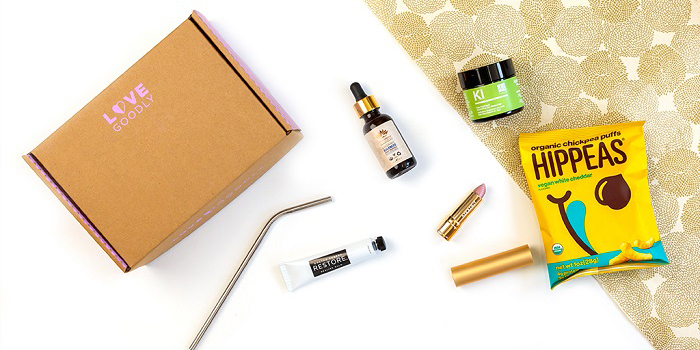 The Essential Box is $29.95 and always includes at least $80 worth of products to try. With the VIP Box, you get all the samples plus a full-size product. This box costs $47.95 and always includes at least $115 worth of products. Another reason to get a Love Goodly box? Each box supports a charity partner and this month it’s Farm Sanctuary. You get to enjoy organic non-toxic beauty products AND help the animals! That’s a win-win situation in my book! 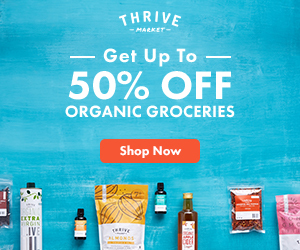 Subscribe to the Love Goodly Box and receive $5 off your first box. 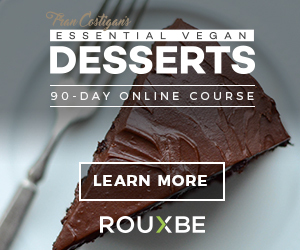 Use the code CHICVEGAN at checkout. Katie Dawson is a blogger over at Life Healthfully Lived and is passionate about helping others find their way to their healthiest life possible. 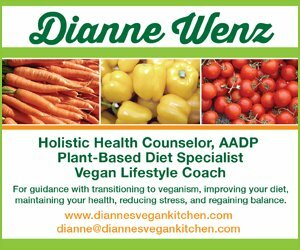 She is a certified sports nutritionist, a writer for Invironments Magazine, and is working on becoming certified in plant-based nutrition. She lives in Chicago with her husband and two cats and loves to run, throw kettlebells around, and do yoga.